Get active with over 120,000 kids all across Australia! In weekly sessions kids explore the world of AFL, building football skills and playing in a safe and super fun setting. 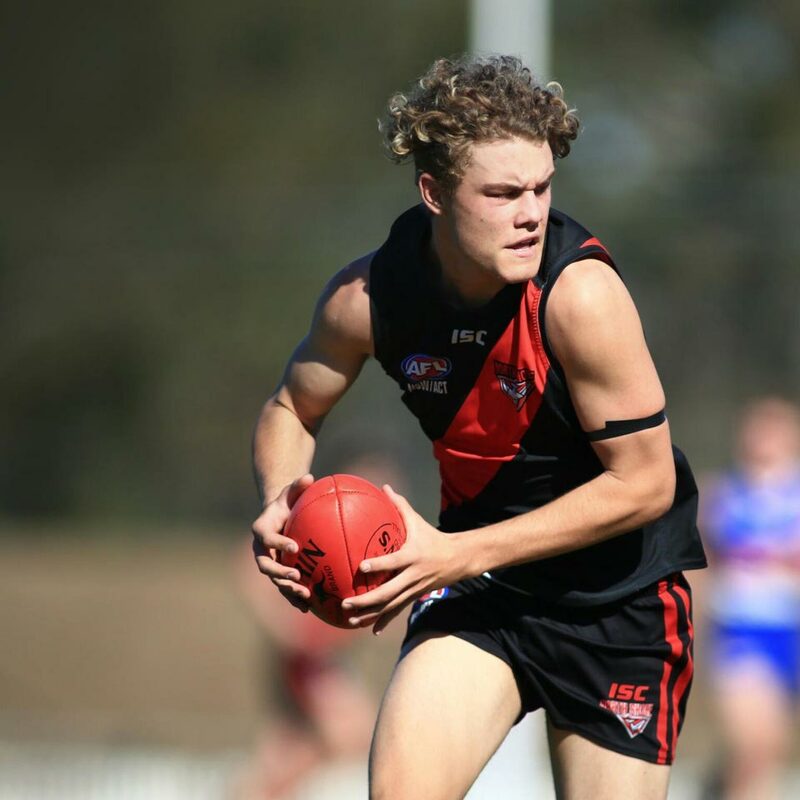 And because we believe every child should have the opportunity to grow-up healthy and strong, you’ll find NAB AFL Auskick is one of the most competitively priced sport programs available in most communities. 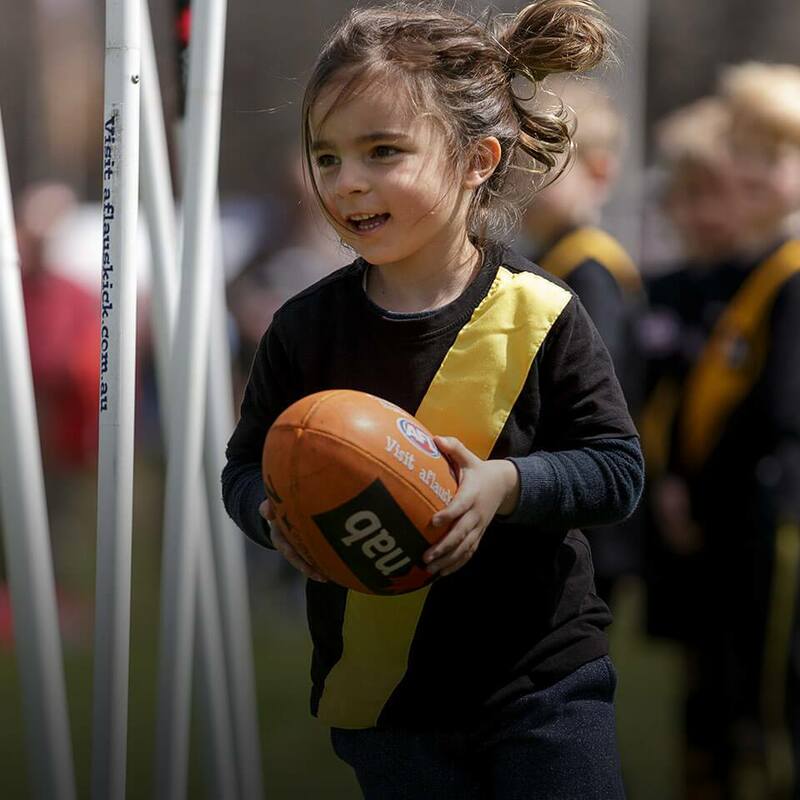 Join thousands of kids all over the country who pull on their runners each week to play with new and old friends at NAB AFL Auskick. 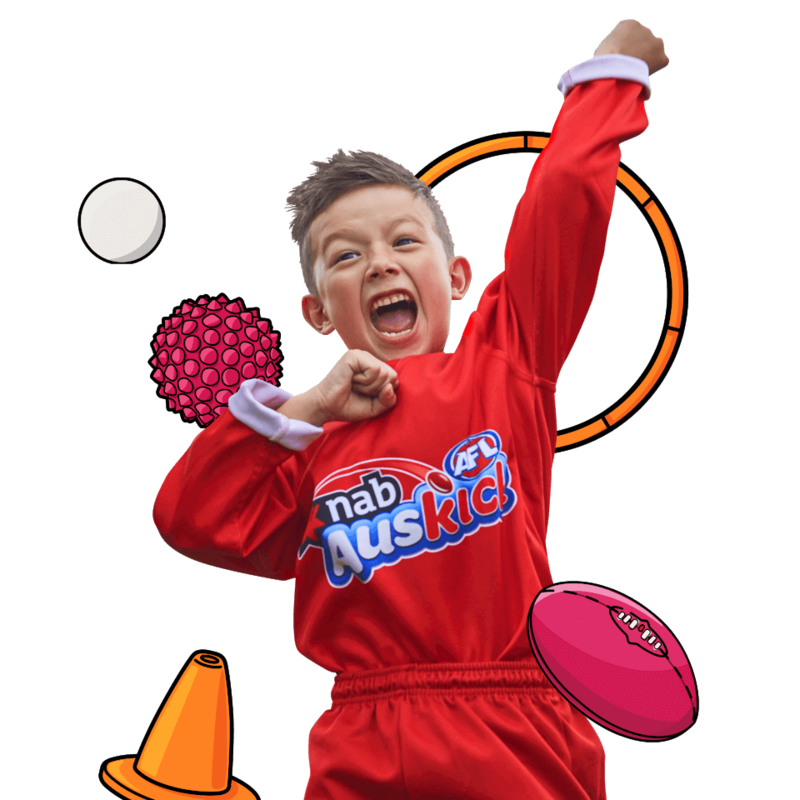 NAB AFL Auskick fosters a fun environment where kids have the freedom to run, jump, kick, laugh and express themselves. We start from the very beginning, teaching all kids the basics of Australian Football. As we know that all kids are different, learn differently and at different speeds, we make sure that the program is tailored to suit all individual needs. 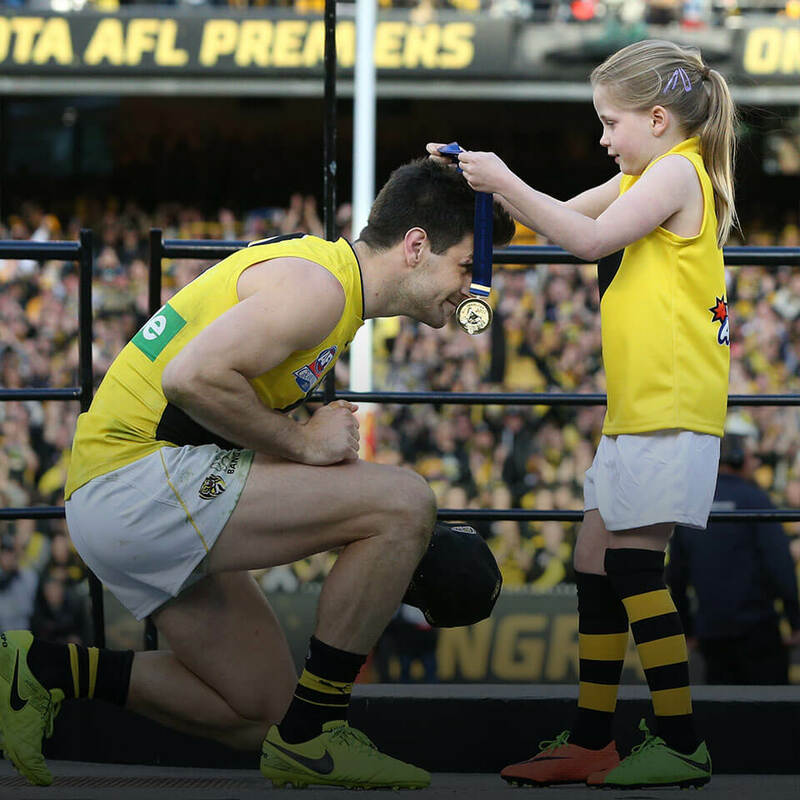 As parents, you can also enjoy NAB AFL Auskick knowing your child is safe, included and active. 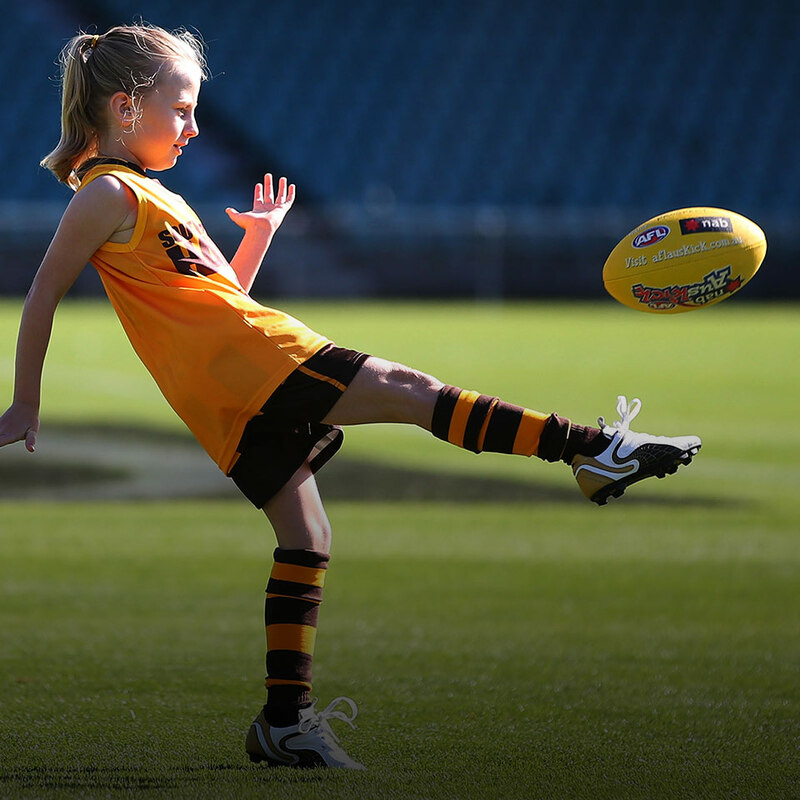 The NAB AFL Auskick program has been designed to let kids learn through play. During weekly sessions kids build fundamental motor skills and learn what it means to play as part of a team. Though session plans vary week-to-week, most will incorporate elements of structured skill development along with free play opportunities. 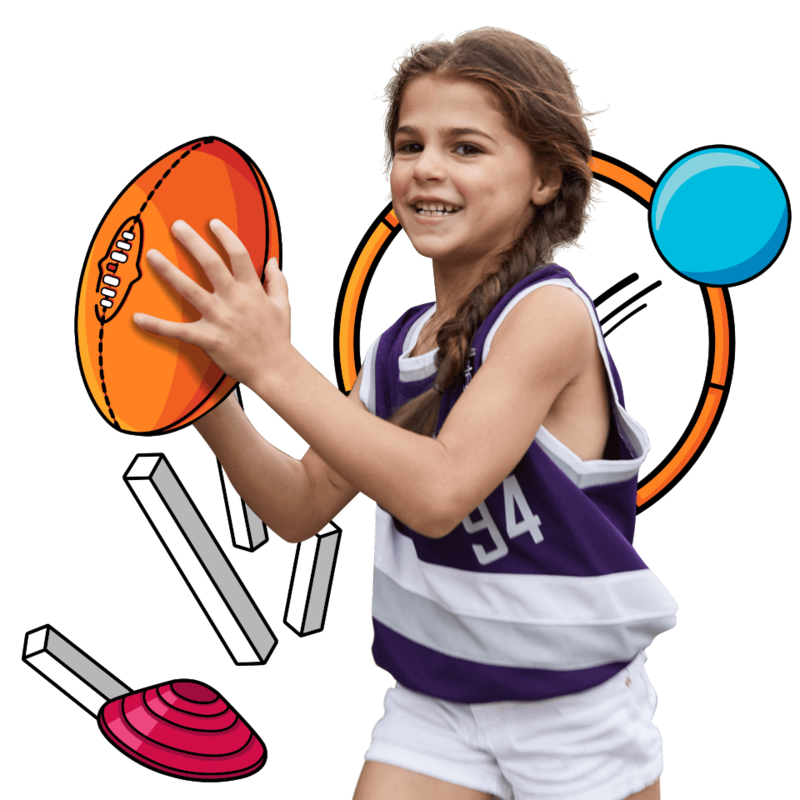 We encourage active involvement from parents during NAB AFL Auskick sessions. For those parents who are new to the game, we’re here to support. Our wonderful staff and/or volunteers at your centre are always happy to guide you on your own footy journey. Regardless of any previous footy experience, many parents say playing with their kids at NAB AFL Auskick is the highlight of their week. 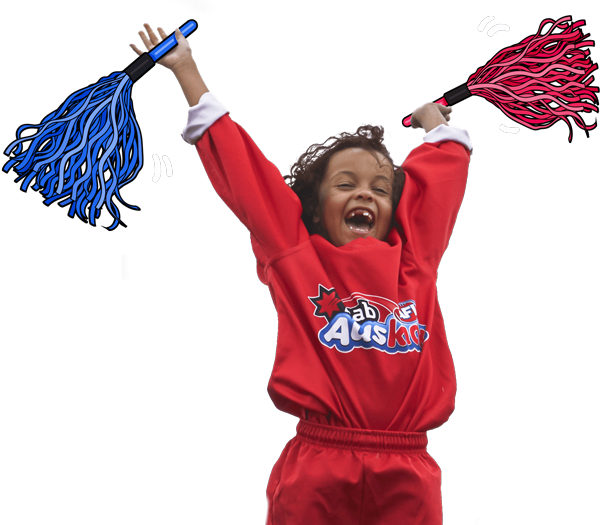 And for those parents that love AFL any opportunity to have a kick with their child, why not consider assisting your NAB AFL Auskick centre as a volunteer coordinator or assistant? 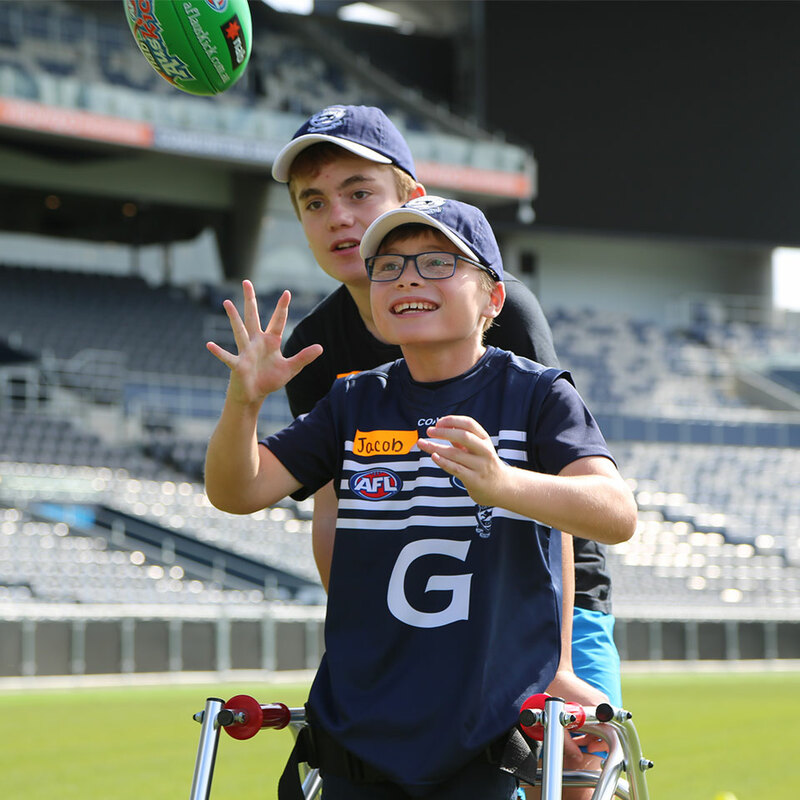 In 2018, the AFL has introduced a brand new coaching and activity program, developed with the support of industry experts across coaching, childhood development and education, as well as Auskick coaches, parents and participants. The new program includes structured weekly sessions, based on activities and equipment designed to maximise fun, involvement and skill development. More information can be found here, including detailed session and activity plans, how to set up a session and tips on getting more parents involved. 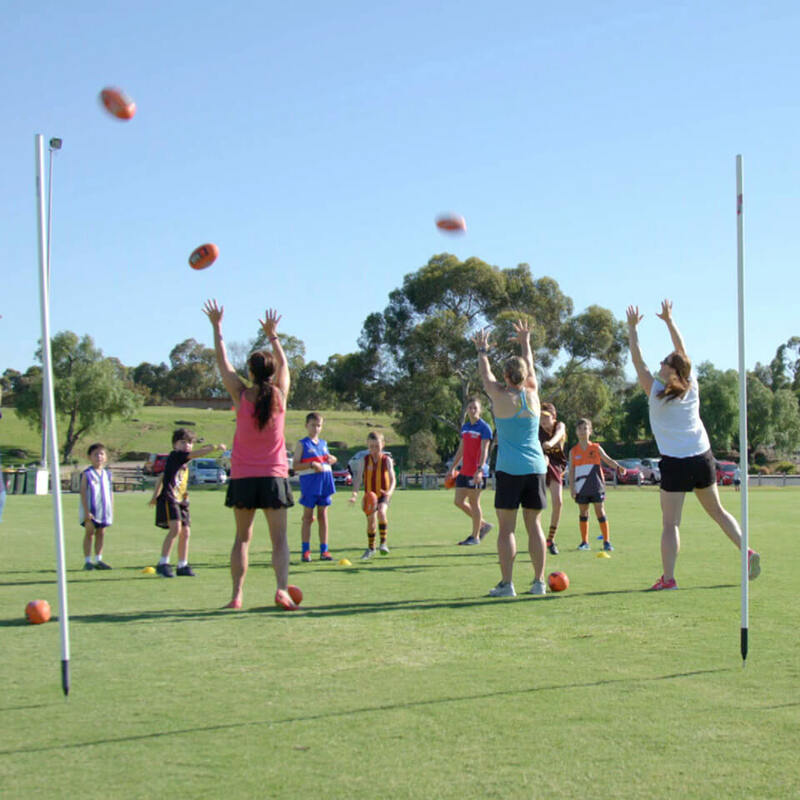 The new program will be gradually rolled out across the country over 2018 and 2019 to ensure Auskick Centres and coaches get the best possible support to implement effectively. Everyone can play when the right attitudes, structures and the systems are in place to support kids of all abilities. 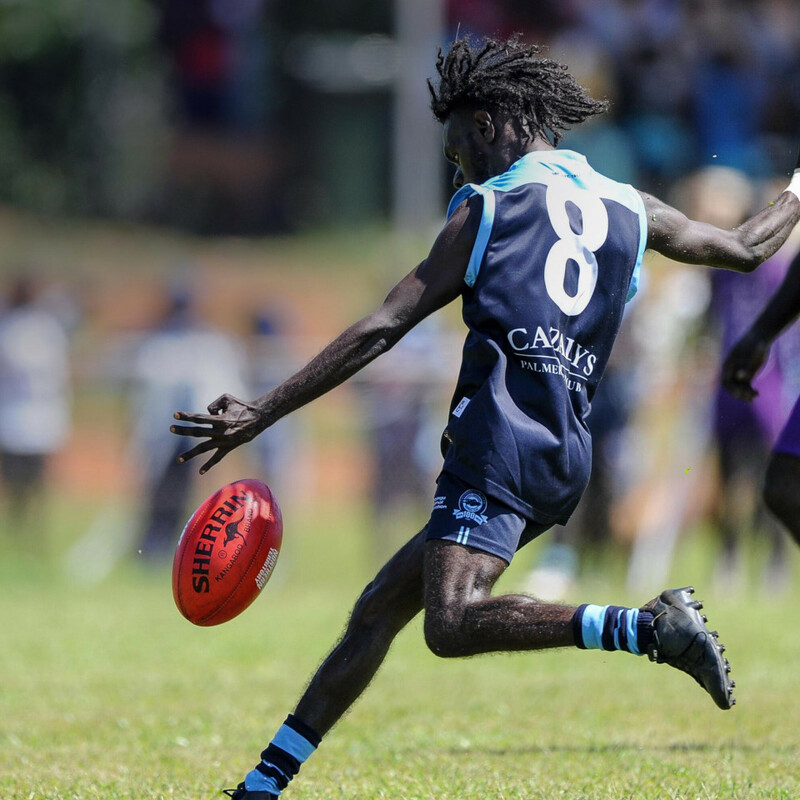 We’ve partnered with Deakin University to deliver All Play Footy so that all children can enjoy NAB AFL Auskick and truly feel like a part of the community. 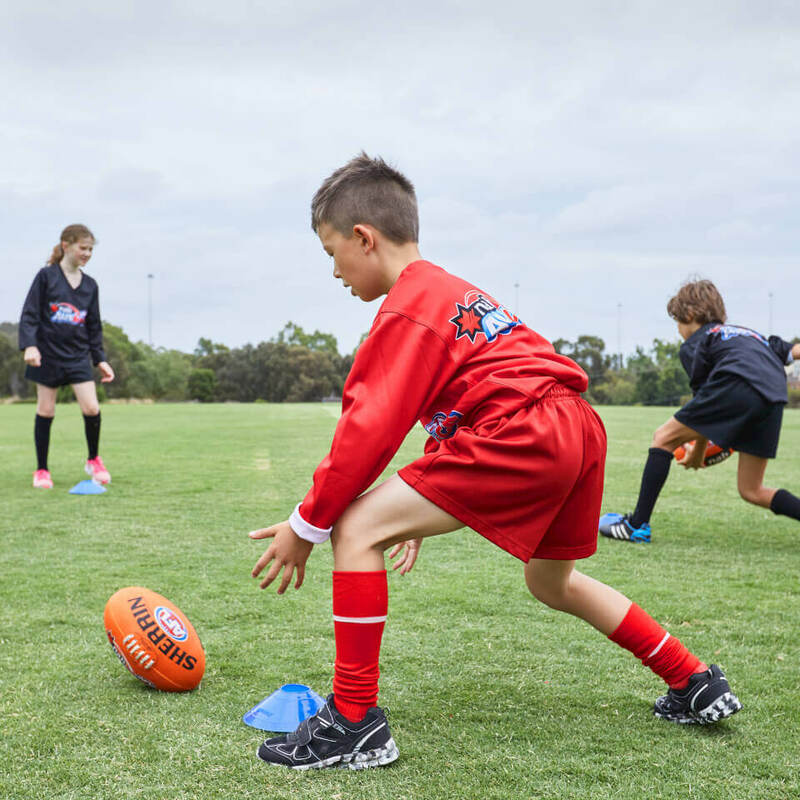 NAB’s partnership with AFL Auskick continues to provide much needed support to over 190,000 participants and 20,000 volunteers, involved at the 3,500 centres around the country. Got a question about NAB AFL Auskick?